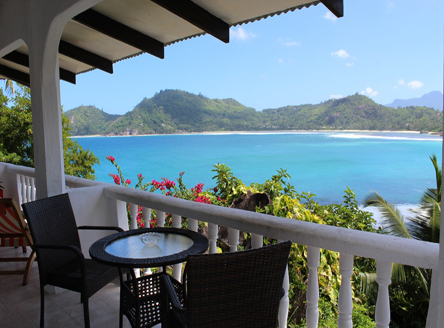 Overlooking Anse Gaulettes and Baie Lazare on the picturesque south-west coast of Mahé Island, Lazare Picault is a group of 14 delightful cottages perched on the tropical hillside... with simply stunning views across the bay. 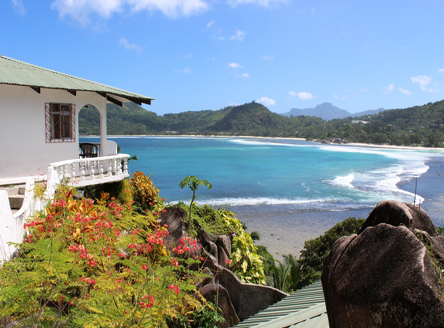 It is truly a boutique Seychelles property! Taking its name from the famous french explorer, Lazare Picault, who landed on the beach in 1742, this is a special place - an excellent choice for the budget traveller where relaxtion is the order of the day. The hillside chalets of Lazare Picault are scattered across the hillside in secluded, landscaped gardens; the unique charm of the chalets lies in their integration with the natural beauty of the gardens and sea. 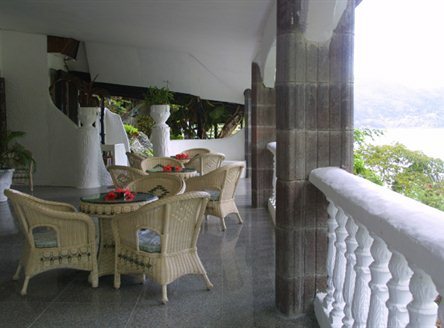 All chalets are simply-furnished with a small kitchenette, air-conditioning, as well as spectacular panoramic views. The choice of accommodation includes Standard and Superior Cottages, as well as two Junior Suites. 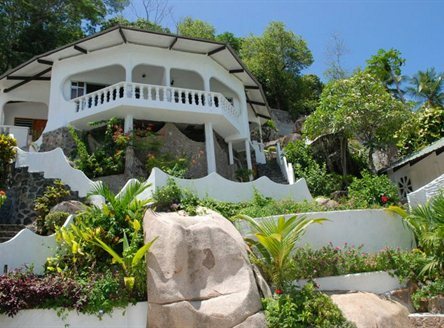 Two 2-bedroom Villas, sleeping four people with a fully equipped kitchen are available at beach level. As an alternative to preparing all your own meals, the hotel’s restaurant is open for dinner (except Sundays) and serves traditional Creole cuisine. 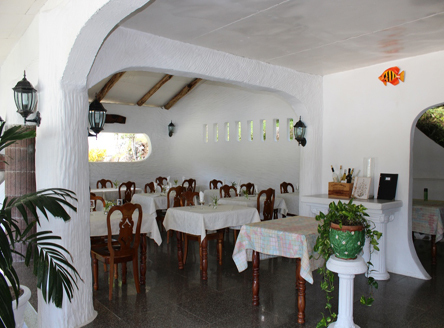 The restaurant is also open for breakfast every day as well as light snacks during the day. 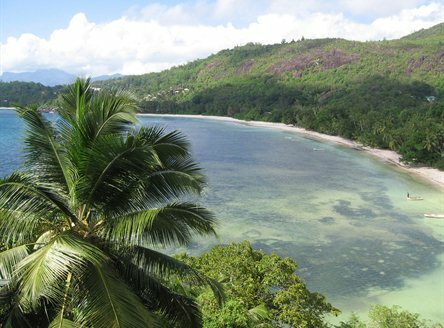 Although not directly on the beach, but only a couple of minutes' walk away, the views across Baie Lazare are inspiring, and considered among the most spectacular on the island of Mahé. 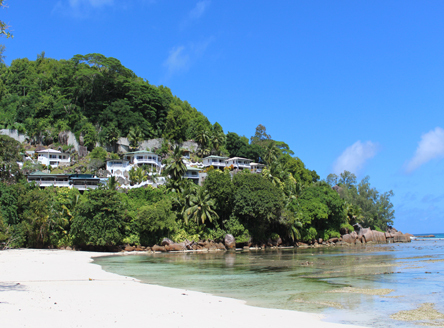 Combine a few nights at Lazare Picault with stays at other Seychelles Small Hotels, including on Praslin or La Digue islands. 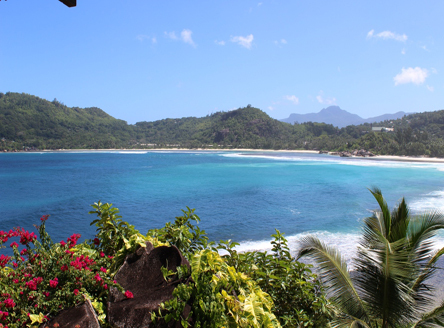 For example, see our Seychellois Island-Hopping tour. 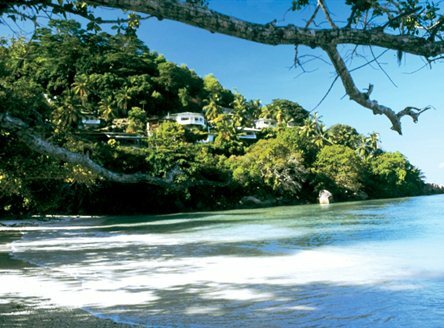 It's the best way to see Seychelles! 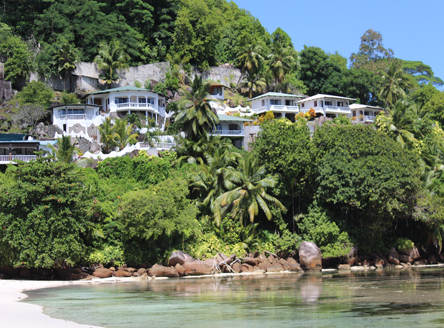 We'll tailormake any itinerary for you with our Seychelles island-hopping ititeraries. 14 air-conditioned cottages with shower. Superior rooms are more spacious. 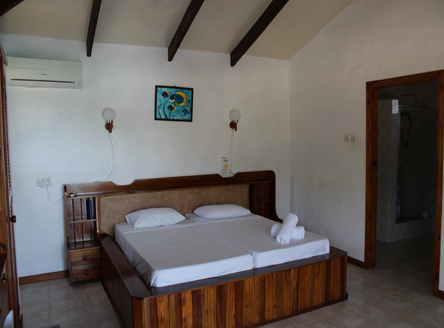 Two junior suites can also be arranged as well as two 2-bedroom villas at beach level. Details and prices on these acommodations are available from our knowledgeable team. From £1049 per person for 7 nights on Bed & Breakfast in a Standard Room, including flights from London and all transfers. 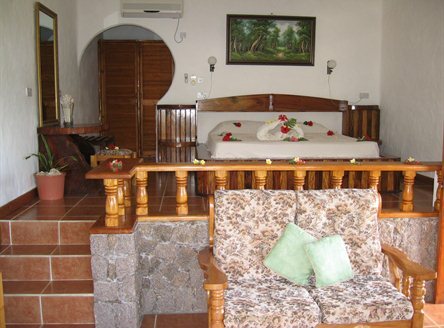 Get 13% on Bed&Breakfast rates and tropical flowers in the room on arrival. Certificate must be up to 6 months old. 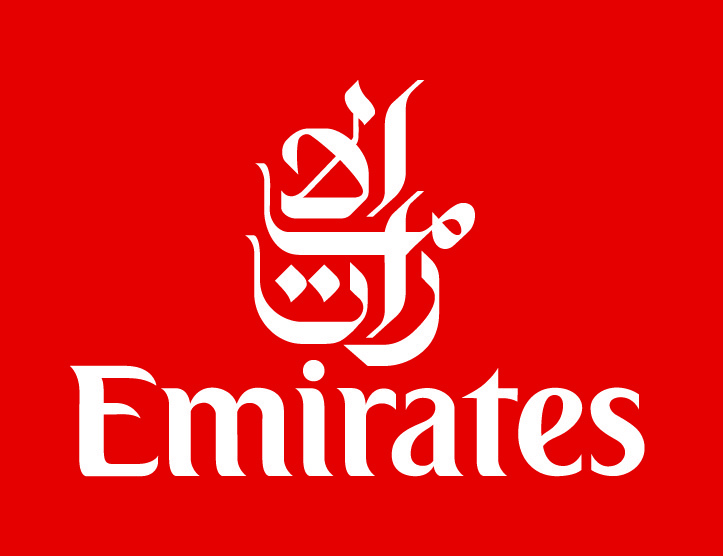 Minimum stay 2 nights applies. Offers are usually not combinable and subject to availability & other terms & conditions. Please call for details. Why not combine your stay at Lazare Picault with a few days on idyllic Praslin Island, at the unique boutique Hotel L'Archipel or the small Villas de Mer hotel? 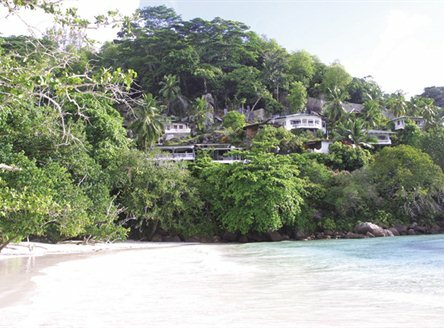 Just give us a call and let us use our expertise to create a tailor-made Seychelles island-hopping trip for you. Alternatively, see our other Island Hopping adventures!